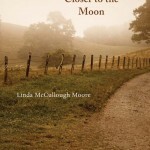 Linda McCullough Moore talks about her short story collection, THIS ROAD WILL TAKE US CLOSER TO THE MOON & we air a 2010 interview with Marisa Silver about her short story collection, ALONE WITH YOU. MuCullough Moore’s latest story collection is This Road Will Take Us Closer to the Moon. The collection chronicles the life of her character Margaret Mackenzie in a series of linked stories. 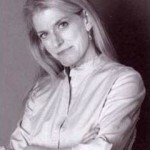 In addition to This Road Will Take Us Closer to the Moon, she is the author of the novel, The Distance Between and more than 300 shorter published works, appearing in such places as The Sun, The Massachusetts Review, and The Boston Globe, among others. The New York Times called Marisa Silver “one of California’s most celebrated contemporary writers”. 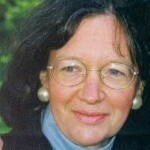 She spoke to WV in 2010 about her wonderful collection of stories, ALONE WITH YOU. The stories explore the ambiguities in human relationships — the push and pull we feel towards those we love — and the responsibilities we have toward one another. In addition to Alone With You, Silver is the author of the 2001 story collection, Babe In Paradise, which was named a New York Times Notable Book of the Year. Her novel, God of War, was a finalist for the Los Angeles Times Book Prize for fiction. She talked to WV about it in 2008.